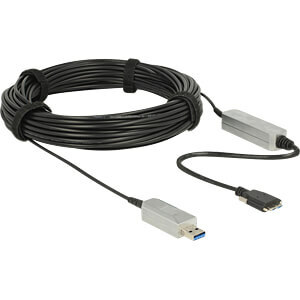 This USB cable by Delock is used to connect USB devices, such as a webcam or a printer, to a PC or a laptop. 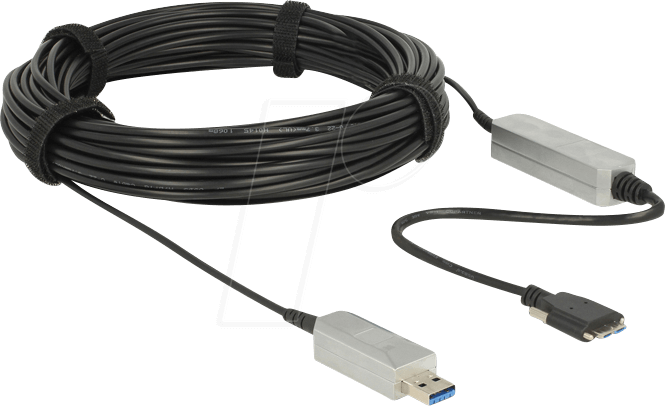 This active optical cable is particularly thin and can transmit signals with virtually no loss over longer distances. 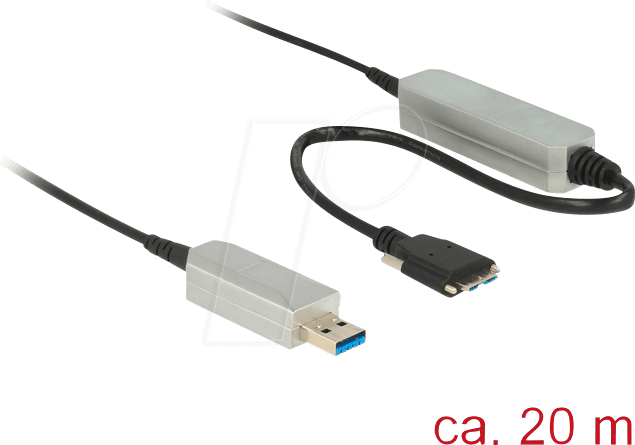 The integrated Micro USB connector and the included Micro USB cable can supply additional power. 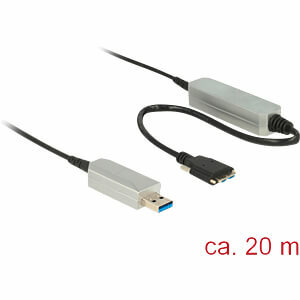 If the power is not sufficient, please also connect the included Micro USB cable to the computer. If you want to connect a hub, we recommend to use a device with a separate power supply. The plugs of the cable can get warm; please ensure adequate ventilation and do not cover the connectors. 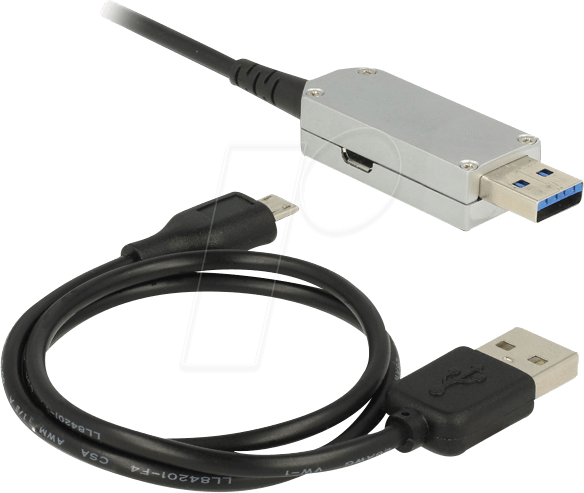 The integrated chipset conveys USB 2.0 and USB 1.1 signals of the devices to be transmitted via the USB 3.0 cable.